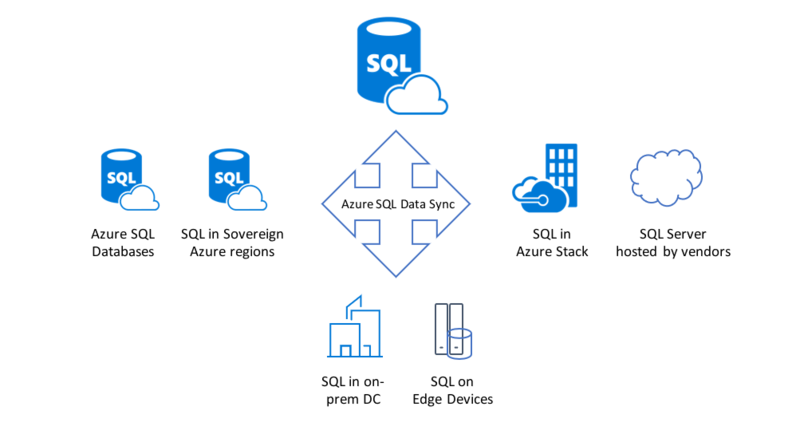 Microsoft announced the general availability (GA) of Azure SQL Data Sync, a service allowing customers to synchronize data between Azure SQL Databases and any of other SQL endpoints unidirectionally or bidirectionally. Furthermore, this release includes new capabilities in configuration, faster database schema refresh, and a more secure data synchronization process. Better configuration experience – More reliable configuration workflow and more intuitive user experience. More reliable and faster database schema refresh – Load database schema more efficiently using the new SMO library. More secured data synchronization – We reviewed the end-to-end sync workflow and ensured user data are always encrypted at rest and in transit. Data Sync service now meets GDPR compliance requirement. By pointing applications at their local copy of the database, Microsoft reckons that access time and responsiveness will be improved significantly and latency and connection failures reduced. The SQL Azure Data Sync service requires a central hub database in Azure and several member databases in Azure or on-premise. A database administrator configures the databases as a Sync group and specifies the direction of data between member databases and the central hub database (either uni- or bidirectional). When the sync process starts the databases will receive Insert, Update and Delete triggers, which will lead to a push data changes into a table that eventually finds its way to the Hub. Next, the member databases pull this data. The Sync group contains a Conflict Resolution Policy, which handles conflicts by applying the policy Hub Wins - the Hub will overwrite data in the member or vice versa with the Member Wins. Note that with multiple members, the final value depends on which member syncs first. To be fair, Microsoft is clear that users should not use this technology for disaster recovery or scaling up Azure workloads, nor is it intended to replace the Azure Database Migration Service, to shift on-premises SQL to Redmond's cloud. The software maker sees it filling a niche for customers who want an up-to-date copy of their data for reporting and analytics purposes.